Ah, Xseed Games, what would us Wii gamers do without you publishing these lesser known games? Fragile Dreams was released here last year in Spring and I had been wanting to play it, but didn't order the game until a couple weeks ago. The game is an action rpg, though it seems to play more like an action adventure. You are able to equip items and weapons and level up throughout the game. None of it is very crucial to the main point of the game though, since the story and atmosphere are the things driving it. You're given a short back story by the main character before you head off on your journey, and you're not quite sure what happened to the world, you just know that there aren't many humans left. The game revolves around finding this silver-haired girl that you meet early in the game. You do meet other characters in the game, but some of them aren't really living. For example, the first companion you meet is an artificial intelligence contained within a box of some kind. She is basically the tutorial level of the game, since she helps you along with all of the game mechanics you come across. Though the world seems to be rid of humans, you are never truly alone throughout the game, most of the time, you'll have a companion with you. The companions usually just help with hints but never help in combat. The world is full of wandering spirits, so you need to fight them off when you encounter them. 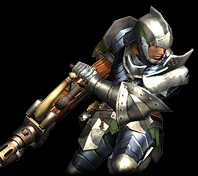 The combat is a bit clunky, perhaps because there is no lock-on targeting, but I have gotten used to that mode of play thanks to Monster Hunter. The difficulty of the enemies never really exceeds a certain point, but some of them can get annoying. There is a bit of exploration, but most of the time, you are on a linear path and there are a few times where you need to backtrack, but thankfully it doesn't really slow down the pace of the game too much. You also find these items scattered across the game that give you the memories of people that once lived. Some of them are entertaining, and some of them give a bit of insight into the game's deeper story. 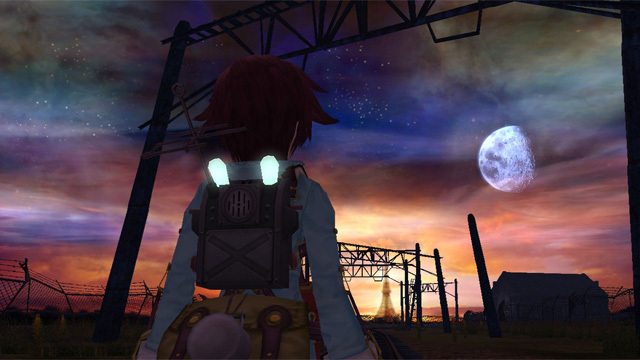 One of the main draws of this game is the atmosphere. It's unlike a lot of the post-apocalyptic settings in that it doesn't go for the nuclear fallout. I can't tell you the full details since that's part of the mystery of the game and I wouldn't want to spoil it. I think the main draw of the game is that sense of being alone and trying to find another person in the world. Though I did mention that you do come across companions in the game, they never seem to last that long, and there is quite a bit of heartbreak throughout the game's story, so prepare to shed some manly tears. The game's music helps quite a bit in that brooding feeling of isolation and despair. Above is just the title screen's theme, and I think it's pretty moving emotionally. The game's music may be moving but the voice acting... well... isn't so great. Take my advice, if you want, change the dubbing to Japanese so you won't have to hear the English voice actors. All of it is subtitled anyway. The English voice acting just feels so drawn out. It seems like a sentence that should take five seconds to say will take twenty. I realize that some dialogue needs to be like that, but not all the time. Fragile Dreams is a pretty unique experience that I haven't encountered often. The only game I can think of that even comes close to something like this would be Ico. (Though Ico probably being the better game.) Fragile Dreams really felt like it had something going for it, the story, the music, the characters... but at the end of the whole thing I wanted more. Perhaps I just expected more out of an action rpg, but I can't blame the game for that. The game is still one of the better lesser known experiences on the Wii, and I would recommend it if you are looking for something different. Is the success of Ocarina of Time ruining or saving the Zelda fanbase? So uh... guys... what do you think about Sony's 'Move' controller? Earth Seeker has a new trailer, looks really awesome, has DS connectivity. I can vouch for most of this. I'll agree, by far the most atmospheric game I ever played. They nailed that. The sound, the visuals, the shading. I've never really felt so alone in a game. I played it in the dark, too. Wild stuff. It felt weird. The memory sequences are very interesting, too. It really makes you want to learn more and make sure you collect all the pieces of a specific story. With no one else to lean on, this was the closest you could feel to anybody. Kind of related, I didn't mind the voice acting as much as you did. Maybe I give a pass to voice acting? I'm not sure. I don't think Arc Rise Fantasia is that bad and people REFUSED to play that game simply because of that. For shame. The lead character has a familiar voice, too. I can't place it..exactly, but I think it might be Lloyd from the first Tales of Symphonia game? Its been a while. I think you forgot to mention the flashlight mechanics! Best use of "remote as a flashlight" on the Wii, right? I thought I heard that Silent Hill did a pretty good job with it, but it was my understanding that this was "the best." I haven't played Silent Hill, so I don't know. The use of the remote speaker as a means to finding out which was a noise is coming from was used well, too. Generally you just have sound effects in other games coming out of there, but with Fragile Dreams, you were led a certain direction. I thought they did a good job with that. What I think they did a bad job with the backtracking as there was much more than you alluded to. It seemed like every time I got somewhere new, I had to turn right around and go back the other way to "comb the desert!" And the fetch quests, or should I say "chase" quests, seemed to go far too long, and got pretty annoying. The enemies in this game are pretty creepy. I wouldn't really expect this "from a Wii game," but if you're into scary stuff, and you haven't played this game, you'll probably enjoy it just fine. That said, I didn't really think the game was that fun. Maybe its not supposed to be "fun," but it wasn't entirely enjoyable. I found the same thing with Twilight Princess though, too, so maybe I'm outgrowing that/this specific type of game. They're quite similar (in some regards), wouldn't you say? Lastly, for me, I'm surprised to hear you say that it ended a bit sooner than expected. You don't need to give me an hour total or anything, but I played a bunch of that game and I didn't feel like I was nearing the end at all. I was in the midst of backtracking to get something else right around the time my Wii decided to conk out, so the game remains unfinished, and I'll have to start anew? Was I right on the doorstep to completion? Man, if I was that close... Same thing happened with Final Fantasy IV: The After Years. I had saved, took a break, and forgot what I was doing so I started over. I pounded it the next few days, got back to where I was, and saw the "credits" in about 20 minutes. HORRIBLE. Good review, Paleo_. Thanks for leaving spoilers out. Maybe I should of said, that I knew I was probably getting close to the end when I did, but I didn't want it to end. I was so interested in this game that I preordered it a year ahead of time, but I only ended up played a couple hours of it. I really didn't like the combat at all (freezing you in place while you attack is a stupid decision), and I didn't care enough about the story to play on further. But why give it a 2.5? D: It wasn't that terrible. And the enemies aren't even that tough, and the game practically gives you healing items all the time. As for the story though, I can't help you with that one. To each his own I guess. Well, he also gave a 0.0 to Ikari Warriors, a game averaging 7.775 on NW. Thats not the only 0.0 he gave out either. His scores aren't on trial here though. 2.5 might be a little harsh for this game, sure, but I think you overscored it personally. Probably so, but like I've stated before, I don't like giving scores, that's why I don't do it on PK Gaming. Scores are awesome. I just think he's overly critical, or so PO'd over a game that he rated it so low. For a game to get a 0.0 in my eyes, it won't even turn on. For all the stuff we hear about Cheetahmen II, that'd probably get a 2.0 or a 1.8 or something from me. You don't have to give it a score at all. That screenshot alone makes me want to play this. You should. It's an excellent game, albeit a bit shorter than I wanted it to be (15ish hours and I really didn't want the story to end). It isn't "mandatory." I'd like everyone to rate everything, personally! In a world where the Wii has "nothing" coming out, its time to embrace the "new to me" deal. I am interested in this game but I wasn't too sure about it. I'm glad you enjoyed it. I'll put it on my wishlist. I also like the way you end your review with a What I liked and What I didn't like. Just picked this up the other day. Hoping that it isn't unknowingly my second copy. You might be talking about Yuri Lowenthal, who is ALL OVER anime and JRPG adaptations. @Paleo_Orca Haha, I forgot all about rating Fragile I think that rating is fair though. It's not the worst game I've ever played, but it was pretty sub-par. I don't care if the enemies are tough; I like a challenge. It just wasn't fun to play. It wasn't satisfying to wrestle with the stiff controls. @Mr_Mustache Believe me, if I could give Ikari Warriors less than a zero I would. The mystery surrounding the story, and the fact that those of you who did play this wished to see a bit more after it ended, really appeals to me. But it sounds like actual gameplay sort of takes a backseat to everything else in the game, right? Sorta, though as Mr_Mustache mentioned, this game takes advantage of the 'wiimote as a flashlight' mechanic pretty well, and it uses the speaker in a very effective way to immerse you in the game. So I think despite some of it's shortcomings, it's still a great experience. Haha, why! I don't own it, but I watched a video today and it looks pretty sweet! Lets play it together and get you up to a 7.6! !! 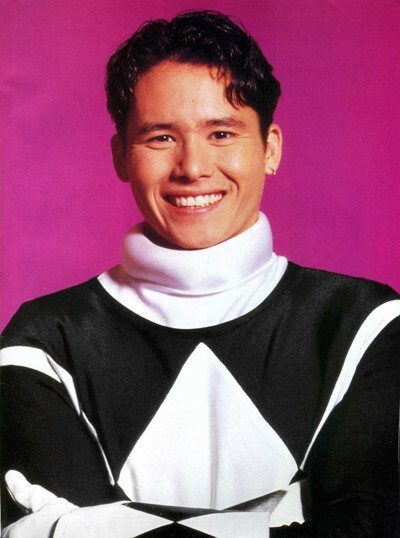 ITS ADAM PARK, THE 2ND BLACK POWER RANGER!!! "Gameplay" is in the backseat with "fun" foggin' up the windows. Oh Ichigo! I found you!